Microsoft has just unveiled the chromium-based Microsoft Edge Web browser for download and public use. It was earlier reviled that Microsoft had been working on chromium based web browser to make Microsoft Edge a chromium-based web browser. Like game engine web browsers come with different web engine and Chromium web engine has been always the favourite one in terms of everything. Now Microsoft has launched the Chromium-based Microsoft Edge Web browser to enhance the browsing experience. 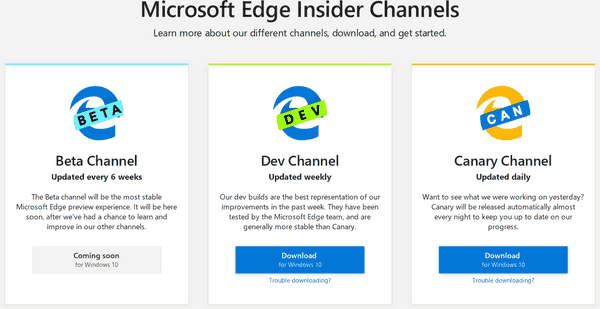 This Chromium based Microsoft Edge browser is still in under development process and available through Insider Channel to download Beta, Dev, and Canary builds of the upcoming version of Microsoft Edge for Windows 10. After the launch of Microsoft Edge browser as a default browser in addition to Internet Explorer in Windows 10, it fails to get that much attention. To give better browsing experience Microsoft is moving their Microsoft Edge browser towards Chromium web engine based browser. This chromium web engine based Microsoft Edge browser will help better web compatibility for customers and less fragmentation for web developers. This Chromium based Microsoft Edge browser is now available for download. Though this is only available for Windows 10 PC. If you are having Windows 8.1, Windows 7 or Mac OS X then you have to wait further. So how good is this new chromium based Microsoft Edge browser? At a glance, this is the same as Google Chrome as both have the same core. But there are certain limitations on this Chromium based Microsoft Edge browser and there are plenty of Google Specific services that Microsoft has removed or replaced. 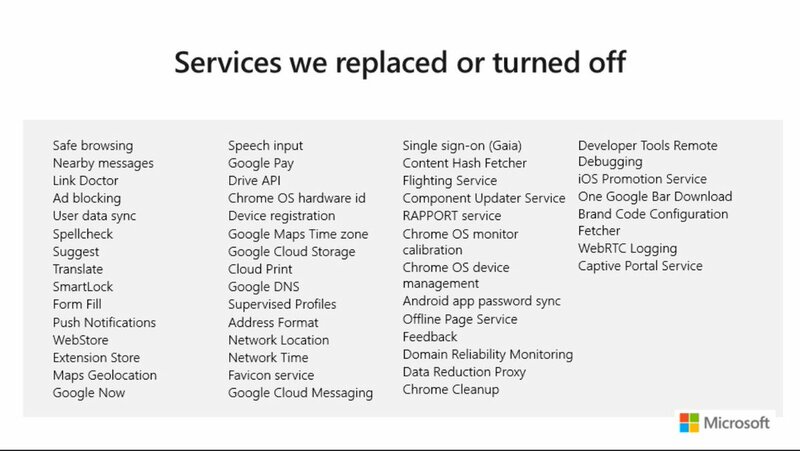 Here is the list that Microsoft has removed or replaced in this new Edge browser. As this is still under development you will get new features with the new update. Like the spell checker is not available now and they are going to add it with the new build.